The state of Goa is located on the Western coast of India, on the shores of Arabian Sea. Popularly known as the ‘Pearl of the Orient’, Goa is famous all over world for its numerous exotic beaches and attracts millions of local and foreign tourists throughout the year. 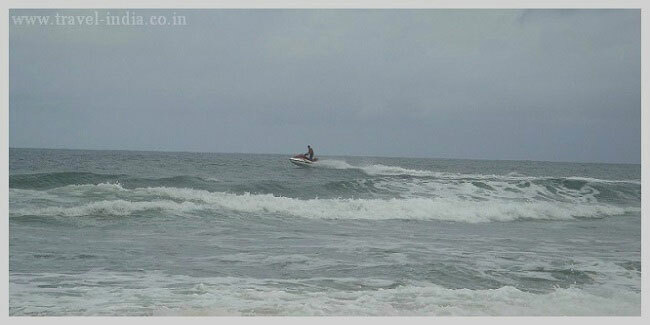 Goa is well-connected by air as well as good motorable roads with all the major cities in India. Earlier, Goa was a Portugal colony and was ruled by Portuguese for good long 450 years until it was taken over by India. A fascinating blend of Indian and Portuguese culture is prevalent in the lifestyle of the locals. With warm and friendly locals and their rich and lively culture, Goa is one of the favourite tourist destinations in India. Its Bohemian charm, exotic beaches, joyous carnivals, thrilling nightlife and adventure sports … make Goa an ideal destination for fun n’ frolic! And this is not all! Goa is dotted with splendid temples, gilded churches, colonial mansions and numerous forts… allowing us a peek into Goa’s long and colourful history. It is not just the beaches and the cathedrals that beckon tourists to Goa but also the spicy, unique Goan cuisine that has long retained the aroma of the Portuguese rule. 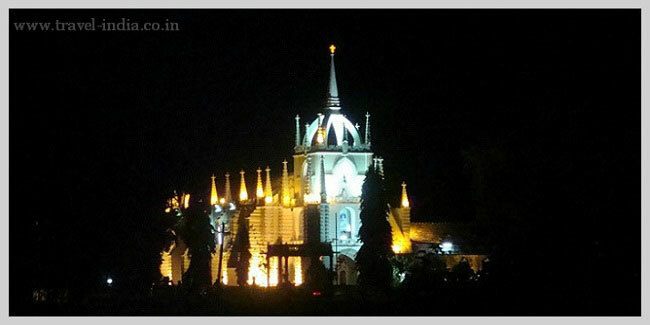 As one lands at Goa, he is exalted by the liveliness, carefree and fun-filled environment of this famous destination. There is something in the air of this place which uplifts one and all! As one ventures out on the roads the happiness reflected by the sprawling greenery, beautiful villages, lush green paddy, sight of white painted churches on red soil, and colourful Goan houses… vitalizes the saddest of the souls. 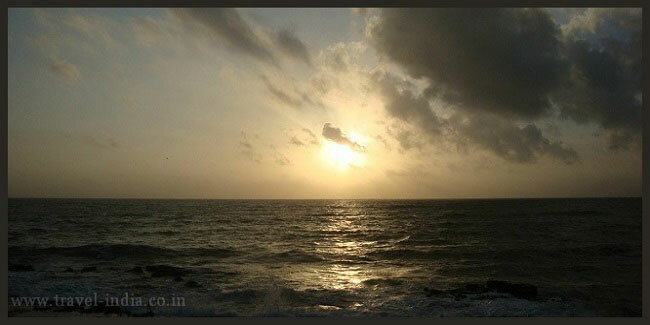 North Goa, famous for its numerous distinguished golden beaches, was the first to be discovered. Home to the most popular beaches, Anjuna, Baga, Candolim and Calangute, North Goa is livelier than the South and has more of an international vibe with tourists from all over the world relaxing and rejoicing here throughout the year. 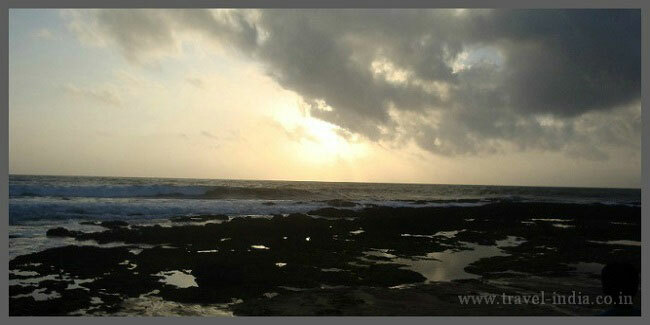 South Goa is calmer and quieter with beautiful white sand beaches inviting those looking for serenity and repose. The roads in South Goa are not as well developed as those in North Goa and there is not as much tourist activity here as well but the distinct natural, unruffled beauty begs to be explored and appreciated. Then what is popularly known as Old Goa is the heart of the Portuguese Goa and is home to Goa’s most important heritage monuments, many of which have been declared World Heritage monuments. Goa is undeniably a treasure chest of heritage monuments which resonates the past glory the state once lived in. 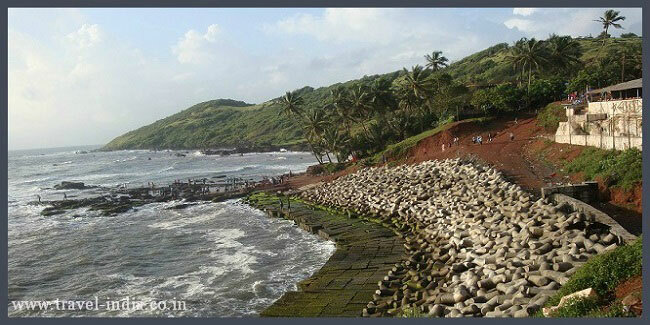 Some of the landmark forts of Goa are Aguada Fort, Chapora Fort, Cabo Fort and Terekhol Fort. The museums in Goa echo the long glorious history of the region in the form of age-old portraits, sculptures and artefacts. Infact a few of the portraits and sculptures displayed in The Archaeological Museum and Portrait Gallery date back from prehistoric to late medieval period. A few of the other notable features in this splendid state are the rock-cut caves of Arralem, the rock-cut caves of Khandepar and the gate of the palace of Adil Shah. Though on the surface, this exotic state exudes fun-filled and carefree attitude to life with festivities, parties and feasts being its integral part, Goa’s roots are deeply buried in age-old traditions and coloured in hues of myriad faiths. The state flaunts a number of places of worship making people from different religions feel absolutely at home. Few of the most notable temples in Goa are Brahma Temple, Shri Bhagavati Temple, Damodar Temple, Naguesh Temple and Shri Vithal Mandir. 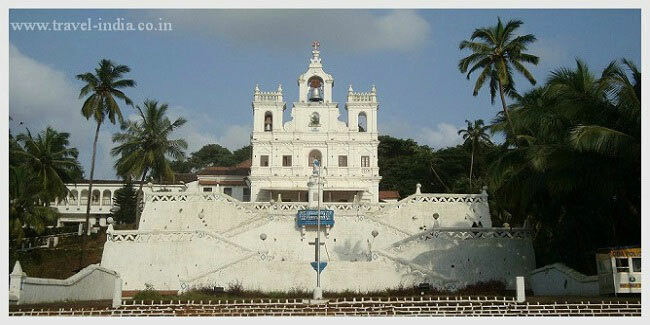 While, The Church of St Alex, The Chapel of St. Francis Xavier, Se Cathedral, Chapel of Our Lady of Mount and The Basilica of Bom Jesus are the few of the most popular churches in Goa, Safa Masjid at Ponda and Jama Masjid at Sanguem are the fabled Muslim shrines of Goa. With its world famous alluring natural beauty, Goa is indeed awe-inspiring and it is not surprising at all that a number of renowned artists, poets, craftsmen and musicians have originated from this magnificent state. Goa is popular for its exquisitely carved teak and rosewood furniture, terracotta figurines, pottery articles, brass items and folk paintings. Goa represents a unique blend of varied cultures and resounding its playfulness Goa celebrates myriad occasions, holds various feasts, fairs and festivals with sheer revelry and joy. A few of the most amazing ones are Shigmo, the Goan version of Holi, the Feast of Our Lady of Miracles, celebrated 16 days after Easter, the Feast of St. Francis Xavier at Old Goa and the Feast of St. Anthony marking the onset of the monsoons and the yatra of Sri Lairai Temple in Sirigao where devotees walk through the holy ‘Homa kunda’ fire. Goa is the party hub of India. This is where u can just eat, drink & party all night. De-stress and rejuvenate in a spa in Goa.